Take a look at of our state-of-the-art manufacturing factories around the globe. Polygroup® is one of the world’s leading manufacturer of Artificial Christmas Trees, Above Ground Pools, Imaginative Floats, Inflatable Toys. and Air Beds. 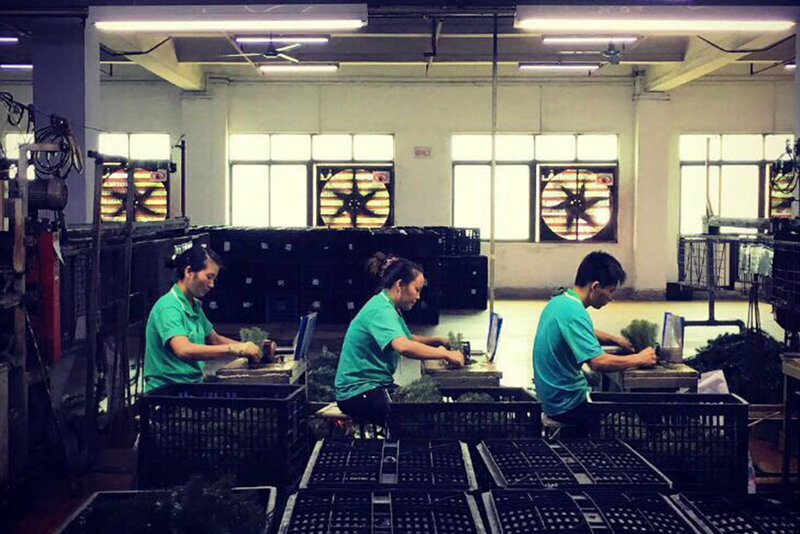 The Dongguan Factory is our hub of research & development and sales. Our two spacious showrooms, of Christmas products and inflatables respectively, make product selection a convenient and enjoyable experience to retailers and guests. Check out our other factories in Heyuan, Mexico and Pingnan! Located at six different locations, Heyuan is Polygroup’s largest base of manufacturing and the center of raw material production. All our six factories are equipped with advanced machines and devices, production lines and facilities to produce high-quality raw materials, corrugated boxes, PVC films, pools and lights. There are also workspaces of polyester weaving, copper stringing and warehouse. Check out our other factories in Dongguan, Mexico and Pingnan! Established in 2013, the Juarez Chihuahua Mexico Factory is Polygroup’s first production facility outside of Asia, and has recently expanded by adding a 250,000sq.ft. (approx. 23,225m2) facility to handle increased demand. An initiative to better serve the US domestic market, the 750-strong factory specializes in garland, wreath, light sets, polypool and filter production. Check out our other factories in Dongguan, Heyuan and Pingnan! LEARN MORE about our commitment to the environment and make our factories, manufacturing and work environments safe and efficient.